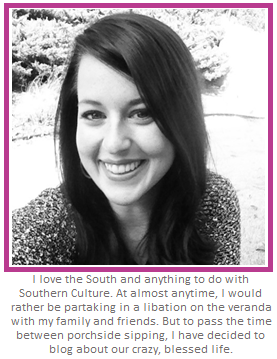 Brandi Nell the Southern Belle: Finally a Fence! 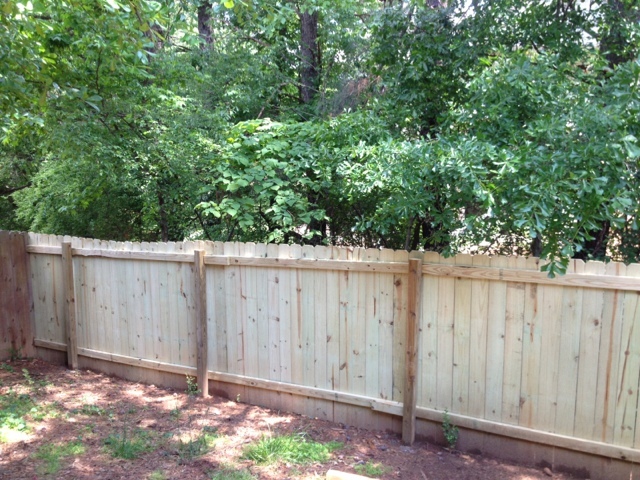 Hubs and I have have been saying we were going to build a fence since the first day bought our home... that was almost five years ago. For our five year wedding anniversary, we went with the traditional gift, WOOD! 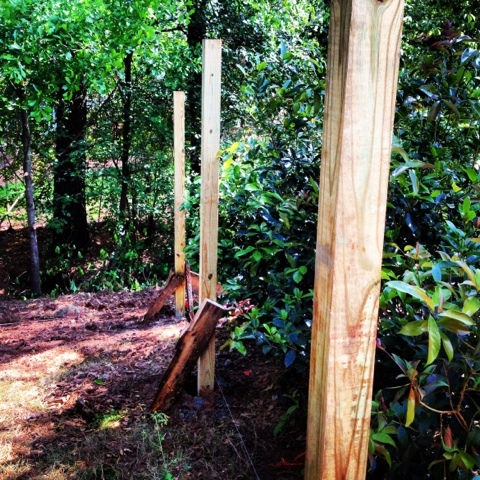 Yes, we decided to give each other a fence for our anniversary. 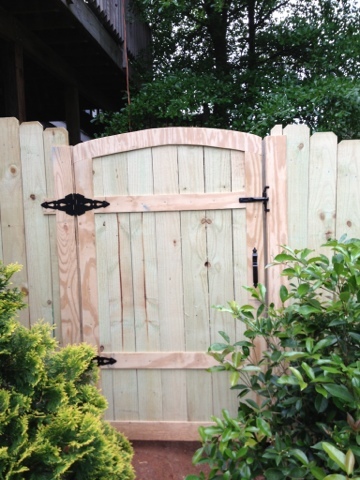 Last weekend, we finally did it - We built our fence! We have a very small yard, but it still took us four full days to build. But it was worth it. 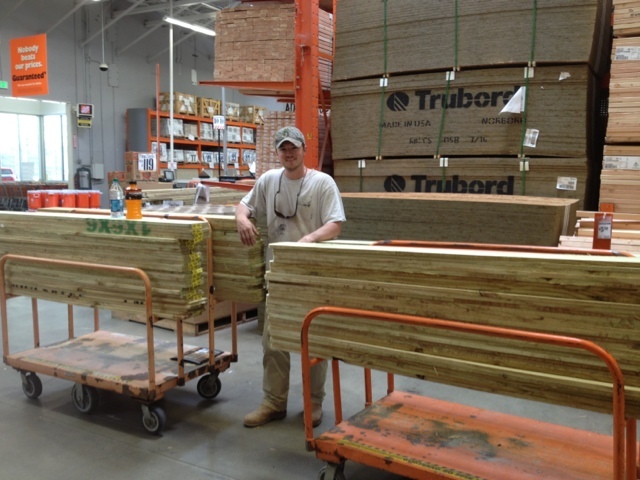 You should have seen us loading up all of these planks on the carts at Home Depot. And yes, Hubs is in his happy place at Home Depot. 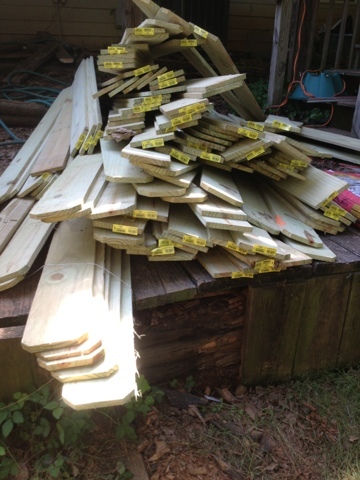 The real sight to behold was me unloading all of these planks, walking them around the house (up a hill) to the backyard. 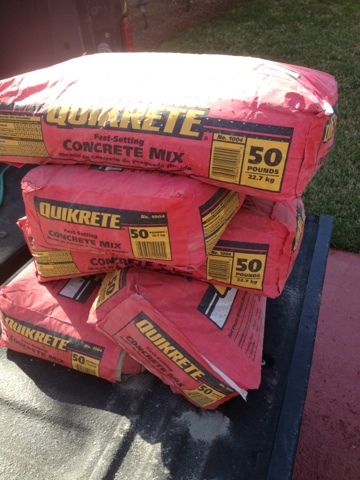 oh yeah - and all of these 50 lb bags of Quickrete... 8 of them total. As I was complaining moving all of this around back, Hubs was digging, measuring, and setting posts. I got off easy - I hate math. 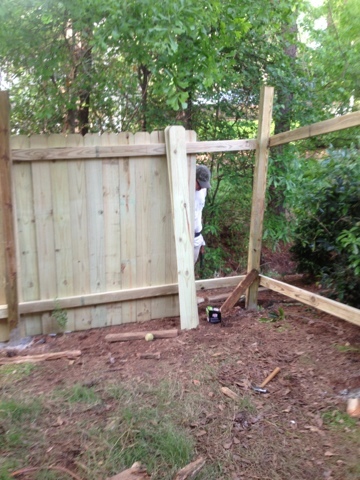 Once Hubs got all of the posts and the foundation boards in place, I started hammering in the dog ear fence planks. 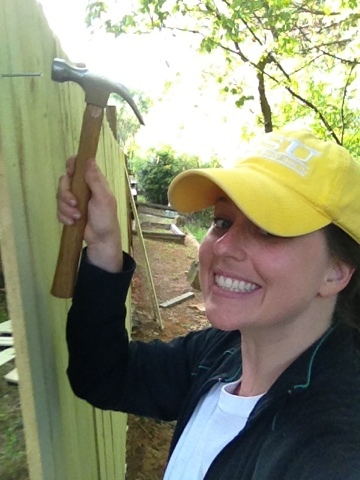 Let it be known that Brandi Nell does not shy away from manual labor (well, not on this particular day)! And neither did Hubs, who did the majority (and the hardest) of the work. 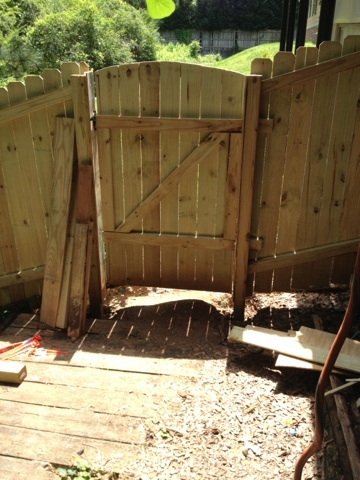 Y'all, he even built a gate from scratch. 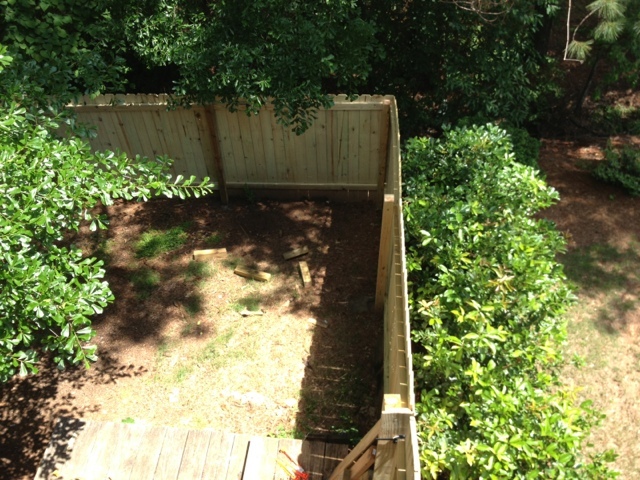 Four days of hard work, and we now have a fence! I am so in love with it. Yes, I realize how lame that is... When did I get old enough to be in love with a fence?? I'm just happy to be able to let the dogs roam free outside now. No more leashing them up and taking them down into the yard! We still have to stain it. I'm NOT looking forward to that, but it will look so good once it's done. This are some pretty expensive and labor intensive projects, so we will be spreading them out through the summer and early fall. I will keep you guys updated on the process as things get accomplished! Hope you guys are enjoying the beautiful weather! Talk soon! Yeah for the fence. The dogs will love it. A huge difference with Belle when I got mine put up.